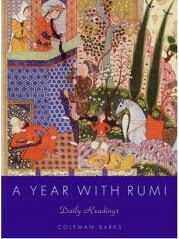 I received my Rumi book today, along with other books, from Amazon. Must promise myself not to by more books in the coming six months, with all the reading backlog I have. Yeah right. This entry was posted in personal on February 28, 2007 by Eva. Am I using the correct term? How do you say when somebody was forced to move out of his/her own home or had their posession taken away from them? I was watching a film in TV5Monde Asie. The character of the film worked as an officer whose task was to forcefully take away people’s possesions. Probably people who cannot pay their mortgage and thus the collateral was taken away from them. In the film, that ‘people’ was a middle age lady who looked decent, like she had nothing to hide, or rather, who look like she had nothing, period. The lady gave in. She packed her stuff and gave it away to the officers. It was sad. I was sad. And I pray to God that I would never be in any of those people’s position–neither the lady nor the officer. To forcefully take away possessions of people who practically has very little with them left–even in the name of law, even if I have the legal power to do so. God forbid. What would you do if you were the officer? This entry was posted in personal on February 27, 2007 by Eva. My friends and I visited a friend whose daughter is in a high-care unit of a hospital. The daughter is 12 years old. She was not feeling very well but she insisted to go for an overnight trip with friends to the countryside. She went home feeling worse. It got worse and she fell into coma. She has lost so much weight. She has regained her consciousness now. But she is still unable to speak. Her body looked stiff, weak and so skinny. We stayed for a while at the hospital, trying to bring some comfort to my friend and his wife. Then we went home. Speechless. “Ibu, please send our greatest gratitude to the management and staff members of the company in all Jakarta, Bandung, Semarang and Surabaya for their considerable attention and contribution to my family. We didn’t expect and were deeply touched by the symphathies shown in the form of money donation. You don’t know him. You cannot imagine the condition of his daughter. But I am sure you can feel his sincerity, sadness and gratefulness. Sadness and gratefulness –two words that are seldom placed side-by-side in one sentence. Please pray for him, the daughter and his family. God bless. This entry was posted in friend on February 20, 2007 by Eva. This morning I woke up not feeling up to it for work. On my way to the office, I closed my eyes and did my invocations, dzikr. I opened my eyes as I was approaching the office. I felt refreshed. What a difference a small chat can make. Thanks. This entry was posted in personal on February 19, 2007 by Eva. I was listening to Trijaya FM on Friday. They were interviewing Aksa Mahmud. He sounded like idealistic, simple and humble. I met him several years ago. I was making a company profile for his Group. During my conversation with him, he too sounded like idealistic, simple and humble. One statement I remembered during our conversation was when we were talking about the social activities of his companies. He said, “Let’s just focus on business activities and not talk about the social activities. I don’t feel right ‘bragging’ about our social activities.” I went home feeling impressed. I hope he stayed like that and live that each day of his life, including during his political career. And I hope more and more people will become like that. This entry was posted in macro on February 18, 2007 by Eva. FEMALOGRAPHY: An international photo exhibition by Jerry Aurum, Feb 23 – Mar 11 at Senayan City Ground Floor. Featuring conceptual pictures of cool females: Rachel Maryam, Dian Sastro, Dinna Olivia, Aline, Endhita, Adella Aletta, Sausan, Sarah Sechan, VJ Cathy, Indah Kalalo and many others. This entry was posted in friend on February 13, 2007 by Eva.